Dancer and choreographer Robert Helpmann (1909-1986) played a vital role in the early years of The Royal Ballet. 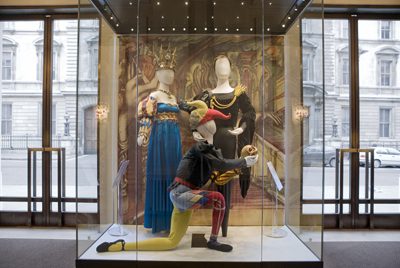 To celebrate the centenary of his birth, this exhibition recalls his contribution to the development of the Company through a chronological display of photographs and an exhibition of costumes. 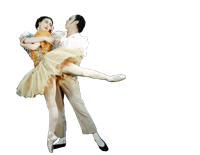 The costumes include those from Coppélia designed by Osbert Lancaster in 1950; from Helpmann’s 1942 ballet Hamlet, designed by Leslie Hurry; and from Frederick Ashton’s Cinderella designed in 1948 by Jean-Denis Malclès. A selection of film posters on loan from the BFI National Archive recalls his film career. A trail guide taking you through the exhibition will be available from 30 March. Accompanying the Robert Helpmann exhibition is the film 'Dancing in the Dark', which illustrates how the Sadler's Wells Ballet contributed to the war effort during World War II. It features reminiscences from dancers, photographs, footage of ballets, and original recordings by Alan Green’s Band from the Royal Opera House.